After starting a fast on April 6, 1906 in Los Angeles, the small group experienced what would become the first baptism with the Holy Spirit at the Azusa Street Revival. Several more followed shortly. William J. Seymour himself was baptized 110 years ago on April 12, 1906. Dr. Michael Brown in his work Authentic Fire confronts the misinformation of Pastor John MacArthur’s outspoken zeal against all things charismatic in his book, Strange Fire. While Dr. Brown admits that on some points Dr. MacArthur is right on, his language is radically abusive in tone. And some of Pastor MacArthur’s comments are simply untrue. Brown carefully separates the message from the messenger in addressing charismatic abuse before proceeding to the good stuff: how to burn with authentic fire. 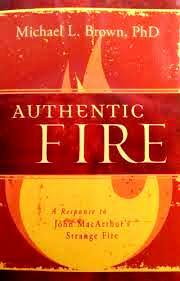 Authentic Fire is Dr. Michael Brown’s response to John MacArthur’s book Strange Fire. MacArthur’s Strange Fire launches a scathing attack on the Christian Charismatic Movement and so it comes as no surprise that champions of the charismatic community should launch a defense to MacArthur’s assertions. Dr. Brown leads the charge with a book just shy of 420 pages that seeks to address MacArthur’s main contentions. Authentic Fire, by Dr. Michael L. Brown, is a masterful answer to the intemperate and angry attack on Charismatic movement and Pentecostalism by John MacArthur in his work, Strange Fire. In the public launch to Strange Fire, MacArthur made clear his utter disdain for the Charismatic Movement in particular. On Saturday afternoon, May 3rd, 2014, Dr. Michael Brown, spoke at Christian Assembly in Somerville, Massachusetts. He spoke to pastors and ministry leaders about the charismatic work of the Holy Spirit, drawing heavily from his recent book Authentic Fire. This seminar was sponsored by the New England District (www.ifcane.org) of the International Fellowship of Christian Assemblies. In his nine-page foreword, Jack Hayford rightly titles this “a landmark book.” He also rightly highlights Kendall’s work as irenic (pp. xxi-xxii), offering a notable contrast to some works today. I did not intend my review to prove as long as Pastor Hayford’s foreword, but if readers find my review too long I should mention that its most salient features appear toward the beginning. In his latest book, Strange Fire, John MacArthur viciously labels the Pentecostal-Charismatic movement as “a false church as dangerous as any cult or heresy that has ever assaulted Christianity.” As I have read and reread his polemic, one thing that becomes clear is that MacArthur’s entire theological outlook is guided and determined by his commitment to the Calvinistic doctrine of cessationism, i.e., the belief that the miraculous gifts of the Holy Spirit were withdrawn from the church after the death of the original apostles of Christ. This, however, is a false doctrine that cannot be substantiated by either Scripture or church history. 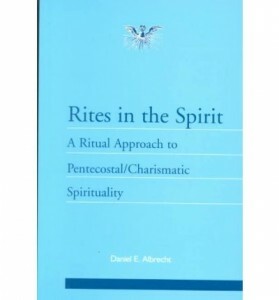 Rites in the Spirit approaches Pentecostal practices and experiences with an approach often not seen by Pentecostals. 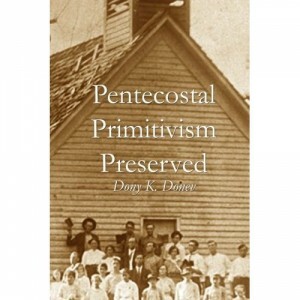 Through identifying Pentecostal distinctiveness with rites terminology, the book proves that they have astonishing effect on the believers’ formation. In the light of Albrecht’s work this paper will reflect on: (1) ritual time, space and identity, (2) fundamental structure and modes, (3) positive consequences and (4) characteristic qualities and formational role of Pentecostal practices and experiences. Albrecht explains that Pentecostal experience of spirituality has effect on time as spirituality is affected by the experience itself. He further proposes three time cycles as a characteristic: (1) weekly/annual events, (2) lifetime and (3) the time of the worship service. The worship time itself contains three distinct elements: (1) the worship, (2) the message and (3) the alter service. On the same page, the author writes that in the process of the Pentecostal service momentary/spontaneous encounters with God are often present as a part of the worship. While time forms the Pentecostal field for ritual, space provides the physical boundaries. Albrecht identifies several space related issues and their prominence for Pentecostal worship. He states that the worship space reveals the attitude of the Pentecostal congregation. He speaks of the sanctuary as a “ritual place” where the Pentecostal services are performed. In this setting, there is space for the congregation and its dynamics (congregational space) and for the leadership (platform). Finally, Albrecht properly notices that there is also an “alter space” where the congregation and leadership come together. In the time and space of Pentecostal worship, different people assume different roles or identities. 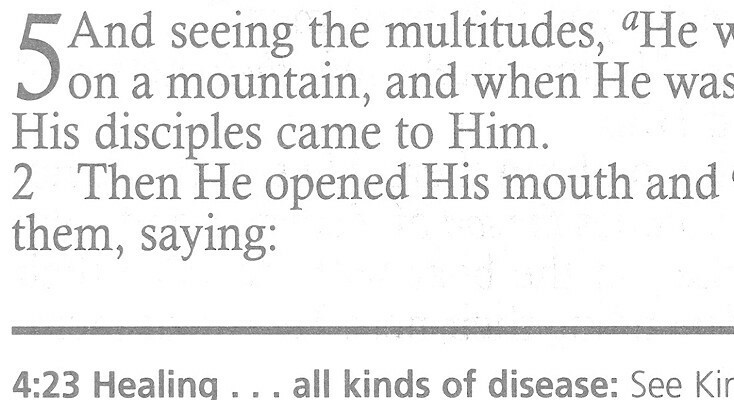 Five are pointed out by the text: (1) worshiper, (2) prophet, (3) minister, (4) learner and (5) disciple. (pp. 136-43). The Pentecostal congregation has a main role in the worship service, as the believer’s worship is viewed as a direct offering to God. The mystical element in a Pentecostal worship service is a result of the desire to experience God directly and intimately. The personal experience with God opens the worship to supernatural intervention and the ministry of the Spirit. The very presence of spiritual gifts challenges the individual believer to become a leader, while this spiritual mode is both recognized and evaluated by the congregation. The goal of these aspects of Pentecostal worship is a personal encounter with God and spiritual transformation of the believer. In this context, the ritual time, space and identity are expressed in Pentecostal worship through preaching, prophetic uttering, healing, miracles, etc. These elements express awareness of a given individual/corporate problem/situation as spontaneous manifestations of supernatural power and leadership challenge not only the traditional leadership forms, but effect social structures as well. Albrecht explores the structures and modes of the Pentecostal worship. By structures he understands the elements of the service. He places several of these in the following paradigm: (1) worship and praise, (2) pastoral message and (3) altar/response as transitions occur between them. These structures reveal the role of each believer in the corporate worship. They also reflect on the needs that each individual brings in the corporate setting of the Pentecostal worship. The modes on the other hand, deal with the emotional aspect of the service. They can be: celebrative, contemplative, officious, penitent, estates, etc. These are the ways through which the believers respond to the structure of the service. In a way, the modes are each believer’s personal expression in the unified corporate setting of the worship service. (1) Liminality – has to deal with a tripartite structure that marks a significant change in status. The liminal is the moment between the before and after of the event, and is, as it were, outside of the security of these more stable definitions. (2) Community – deals with relationships between people under liminal conditions. (4) Transformation – deals with both the changes taking place in the believer as well as the changes in the congregation as a whole. The research presents Hispanic Pentecostalism as “the voice of the voiceless.” Solivan prepares the reader for the cultural and religious context in which orthodoxy has failed for various cultural, historical and theological reasons. He further proposes that the new term of “orthopathos” should be used. Orthopathos is the combination of orthodoxy (what we believe) and orthopraxis (what we do). As such, it introduces an interlocutor between God and humanity and between beliefs and works. God is the God who suffers for creation and with creation. The act of repentance is then the human response to the passion of God for humanity and joining with His sorrow in the death and alienation of mankind. Such appeal is against the dehumanization of revelation. It reduces the salvific experience to a simple claim of Biblical truths based on a logical choice. Several reasons are given to prove that such intercalative paradigm is necessary for the Hispanic Pentecostal communities. Among them are not only Biblical, theological and mission requirements, but also sociopolitical, ecumenical and identity ones. These necessities expand the orthopathic approach beyond the church-religious context into the area of social transformation, thus proposing it as a larger paradigm for Christian mission to the world. Solovan claims that pathos denotes the idea of goodness and passion, which were very often missed by the ecclesial formations which followed the early church and was never properly restored by the Reformation. The discussion addresses the imago Dei and the pointed by Tertullian’s argument that God’s expression of passion is not a reflection of ours, but rather a reflection of His image. 1. In connection with the Biblical principle of identification. 2. In connection with the Biblical principle of location. 3. In connection with the Biblical principle of transformation. Through the Biblical foundation, the starting point of orthopathos is identified with the suffering and its relations to the category of poverty within the socioeconomic matrix. The author continues with a parallel between suffering and the work of the Holy Spirit and His work among the poor. Once, the pneumatological factor is introduced, Solivan goes a step further to discuss Pentecostal glossolalia. He sees it as an affirmation of the work of the Spirit among the poor. This gives a Pentecostal conclusion of the orthopathos topic and allows the author to explore its practical implementation within the Hispanic Pentecostal community. The book further introduces three critical questions concerning the topic of orthopathos. The first one is concerned with the imago Dei in reference to the emerging identity of Hispanic Americans and more specific Hispanic American Pentecostals. The first concern is continued by the second question about the common experiences and culture in the context of North American immigration dynamics. This factor has a rather unicultural and ecumenical approach, but brings several interesting possibility for communality within the Holy Spirit. The third concern deals with the transformation of practice into praxis in a Pentecostal context and is connected with the last question which calls against passivity toward suffering and poverty. The book concludes with a call for social transformation which is addressed by Pentecostal theology and praxis. In the background context of the treated problems and issues, the book inevitably stands against passivism toward social injustice and touches on the role of the church in the social transformation dynamics. Although, the book is dedicated to a Hispanic Pentecostals, the principles of social transformation are applicable also in my area of ministry in postcommunist Bulgaria. The similarities are many. First, just like South America, Eastern Europe after the Fall of the Berlin wall in 1989 is struggling economically. Along with the social and political instabilities in the region, the economical crises have separated the Bulgarian community into a small percentage of extremely rich, and a majority of extremely poor with minimal or no middle class separation between them. Second, while South America’s religion is monopolized by the Catholic Church, this role in Bulgaria has been occupied by the Eastern Orthodox Church. The last has been credited as the protector of the Bulgarian culture during the Turkish Yoke and the Communist Regime. However, in both cases, the Eastern Orthodox Church has participated in historical dynamics which have created environments for the rich and powerful minorities, thus oppressing the poor and the underprivileged majorities. Thirdly, through the Protestant missions Pentecostalism was introduced to the Bulgarian culture in the 1920s. Today it is the fastest growing religious movement in Eastern Europe. Protestantism has rightly and faithfully fulfilled its role as a sociological factor in the formation of the Bulgarian culture exactly in the historical moments when the Eastern Orthodox Church has been or had chosen to become socio-culturally inactive. Fourth, cross-cultural problems which Hispanic communities in North Amerca face are similar to the problems which Bulgarian immigrant communities face. The cross-cultural processes, struggle with identity, loss of heritage, as well as their recovery and reclaiming through the Biblical salvific experience, are dynamics which essential for the Bulgarian immigrant communities and the Bulgarian immigrant individually. Finally, Pentecostalism has drawn a paradigm for personal and social transformation which has created an environment for liberation of the oppressed by postcommunist reality Bulgarians both in Bulgaria and internationally. It has further effectively addressed theological and practical issues through Pentecostal identity, experience and community becoming a factor within the social transformation and the postcommunist mentality as well. As such Pentecostalism, in a larger scale, has become an answer for many through providing answers to existential questions in the midst of crises, transitions and insecurity as its call for orthopathos has integrating the sacrifice of God with the present search and suffering of the Bulgarian nation. 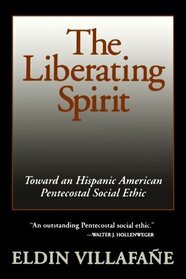 The Liberating Spirit is an analytical examination of the Pentecostal movement in the Latino community. Pentecostalism is presented as a social transformation factor. The research is written for a scholarly audience, though it is understandable by the common believer as well. It argues for a “pneumatic” social ethic, and urges Pentecostals to move beyond selective preaching of salvation and to address such systemic issues as human rights, social injustice, racism, etc. The study follows a well developed structure which integrates Pentecostalism and social transformation within the context of a Hispanic American culture. Chapters one and two of the study deal with the Hispanic American culture through focusing on the Hispanic immigration in North America. Chapter three is an overview of the Hispanic Pentecostal reality to identify the Pentecostal church as a center for liberation from oppression in the context of Pentecostal eschatology. Chapter four provides Scriptural proof for the presented ideas, and chapter five concludes the research with a presentation of social ethic for the Hispanic American Pentecostals. Pentecostal churches are presented as traditionally unlearned in their majority, but always open to the needs of the poor among them. Villafane even speaks of “menesteroso” (the oppressed) as a main focus of concern of the Pentecostal churches. Since its beginning the movement has emphasized the inclusiveness of the Christian community existing in the context of Christ’s love for all with special emphasis on the poor, suffering, sick and oppressed. Being concern with all of these, Pentecostalism has viewed the pneumatic theology and praxis not only as a heritage of its ethos, but also as means through which social justice is made possible within the church and the world which the church reaches through ministry. In the pneumatic part of the research, the author responds to Karl Barth’s dream for theology of the Spirit. Villafane sees Pentecostalism as the movement that brings such theology. In relationship to the immigration dynamics, the author gives an extensive overview of the Latin American immigrants and the way they experience their ethnic belongingness. Villafane shows that Latin American immigrants form at least four groups of language preferences (1) English only, (2) Bilingual with English preferences, (3) Bilingual with Spanish preferences and (4) Spanish only. This division is somewhat different than the Bulgarian language preference. At this present time, research shows that all Bulgarian immigrants speak some English but prefer Bulgarian among them. Also, all Bulgarian-born immigrants have studied Russian beside Bulgarian and English, but do not use it in their communication within or outside of the Bulgaria community. And finally, at this time there is no English only preference group among the Bulgarians. Perhaps such will be formed when a second generation of Bulgarian immigrants emerges in America. (1) The Latin American diaspora represents a much larger ethnic and geographical area from which immigrants have come than the Bulgarian one. (2) The Latin American diaspora represents a much larger immigrant group in North America, with a longer history and large geographical location than the Bulgarian one. (3) The Bulgarian diaspora represents a less defragmenter community as a large majority (80%) is Bulgarians. In the Latin American case almost 50% of the immigrants are with different ethnic background. (4) The Bulgarian diaspora represents a different ethnic group, which differ not only by national belongingness, but by language as well. Villafane’s research further offers an in-depth overview of the Latin American communities in North America examining their culture and paradigms and influence of Pentecostal ministry among them. The text speaks of the “homo socius” or the person in the context of community, claiming that an individual is only a person when acting in the social context. A certain transformation from one social context to another is also suggested when viewed in cross-cultural dynamics of immigration, assimilation and naturalization. These processes are similar within the Bulgarian immigrant communities in North America in relation to the ministry of Protestant churches among them. The Bulgarian Christian communities are searching for a model of adjustment to the assimilating culture in which they exist. This can be accomplished by adopting a strategy of incorporating the postmodern setting of worship, theology and praxis within the Bulgarian Christian community. It should be accompanied by an intentional process of liberation from the dysfunctional model through which the Bulgarian Protestant Church operated during the Communist Regime (1944-1989). This process should purpose to liberate the believers from an oppression mentality and transform them toward the mind of Christ, in order to minister effectively in the present context of existence. Failure to address this present dilemma will result in an inability of the Bulgarian Christian community to communicate its faith and to minister to the younger, faster-adjusting generation of Bulgarian-Americans, whose religious belongingness remains unexplored and often even unknown to themselves. In all cases, the Bulgarian Evangelical churches accept the responsibility of being much more than a religious center, as it serves as a social and ethno-cultural center as well. Thus, in the context of ethic assimilation and cultural regrouping, the Bulgarian churches not only remain a protector of the Bulgarian ethnicity and the Bulgarian way of life, but also acts as an agent of cultural integration. Naturally, as such it has received the attention of Bulgarian immigrants who have altered it to meet present needs.